What happens in Vegas, stays in Vegas. Unless you decide to do something a little more long-lasting, such as having a wedding right on the strip! There are countless reasons why you should get married in Las Vegas. The glitz and glamour that the city is known for sets the perfect tone of love and passion. 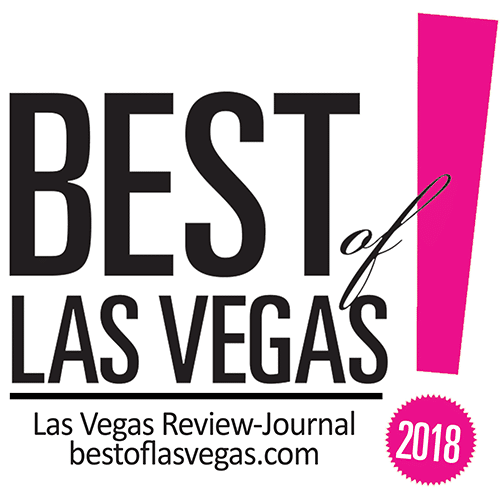 And when it comes to the best place to say your “I do’s”, The Little Vegas Chapel is the hottest spot for couples planning to tie the knot in Vegas. The Little Vegas Chapel has been specializing in weddings, vow renewals, and Elvis ceremonies since 2013! In fact, it’s so popular, that it was awarded TripAdvisors Certificate of Excellence for 2015, 2016, 2017, and this years as well! The Certificate of Excellence honors hospitality businesses that deliver consistently great service across the world. This reward is presented to approximately 10% of total businesses on TripAdvisor that have consistently achieved great reviews over the past year. There is no application process for the Certificate of Excellence, and the achievement is earned over time. 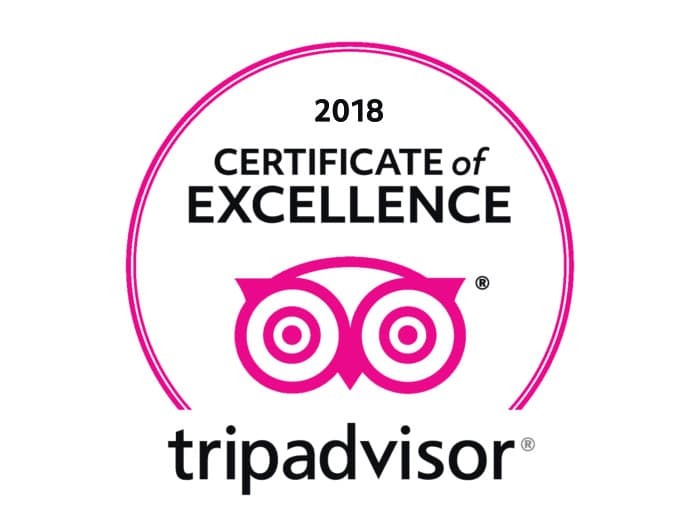 To qualify for the certificate of excellence, a business must maintain an overall TripAdvisor rating of at least four out of five, have a certain number of reviews, and have been listed on TripAdvisor for at least twelve months. So many happy couples have had the best experience in this establishment, and have left many great reviews on their TripAdvisor page. They have achieved a five star rating every year since opening! What makes The Little Vegas Chapel so special? The Little Vegas Chapel strives to make your special day as memorable as possible. 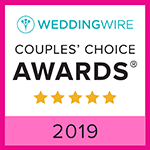 Our amazing team is made up of experienced wedding coordinators, caring officiants, skilled photographers and incredible Elvis impersonators. It also includes limousine and Pink Cadillac transportation, wedding gown & tuxedo rentals, affordable video and professional photography packages, and many more! The Little Vegas Chapel provides a fun and easy way to get married or renew your vows at a value with exceptional quality, which will make your Vegas experience all the more memorable. Let’s look at some of the reviews that have been left on the Little Vegas Chapel’s TripAdvisor page. We have 90% five starts out of 279 reviews, and we like to make sure that every couple who comes through our doors leaves satisfied with their experience. Ron S. had this to say about his experience, while giving it a five star rating; “Everyone was so friendly and helpful. When we walked in there was another couple going in for their ceremony. It was cool to see them in their Elvis and M. Monroe costumes. While their ceremony took place the allowed us to take our own pictures in an off area with the Welcome to Vegas lit up sign. That was a blast we had a selfie stick tripod and our phone cameras have timers so it was easy to set up. Their photographer took way better pictures though. They had bride bouquet so that was nice. The ceremony was so fantastic, Elvis gave us a ceremony that we will never forget. The ceremony was so sincere you can tell he really likes marrying people. And his singing knocked it out of the park. We had the time of our life (Not to get goofy, but it really was). We tipped Elvis $100 but his ceremony and performance was worth so much more. If I ever get married again this will be the place”. The Little Vegas Chapel actually cares about your wedding and strives to take away all of the stress that comes with all that wedding planning. We want to make sure your day is not only special, but fun as well! They truly strive to ensure your wishes are met and throw you the wedding of your dreams. Take a moment to browse through our customer reviews and testimonials and you will see that each and every person who walks through our doors is treated like family. You make the memories, and The Little Vegas Chapel is there to help you create the best day of your life! So the next time you stop by Sin City, come stop by! You will not be let down by the entertaining wonderful atmosphere that everyone loves so much about the Little Vegas Chapel.